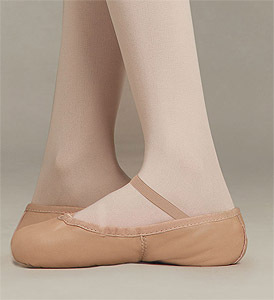 A split sole ballet slipper constructed of lightweight, soft, durable leather. Suggested Fitting: Woman approx. same as street shoe. Only available while supplies last. We will contact you if your chosen size or color is out of stock.